Vancouver-based Mobile Clones’ 1980 release “Abrasive Air” gets a new life as an expanded re-issue. 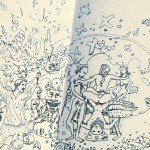 The news was confirmed just a few minutes ago by Artoffact Records where you can also order this gem. “Abrasive Air” was the only release by the Mobile Clones trio. Glen Nelson (later of Images in Vogue), along with drummer Paul de Bourcier and vocalist-bassist Greg Potter (both later of Lost Durangos) formed Mobiles Clones in the Vancouver summer of 1978, at a time when everyone was making punk rock and almost no one was doing synthesizer-based song structures. The only scene in which they could play however was that punk scene, so as a result Mobile Clones opened for both The Subhumans and D.O.A. in 1979. It would be the band’s only two non-highschool shows before the project was put to rest in 1980. 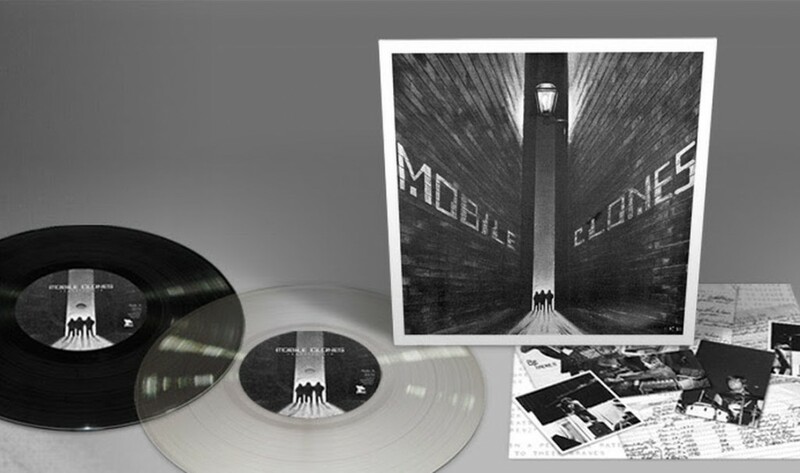 Just before the end of Mobile Clones, the band released a limited-to-200 units 7″ vinyl, which came in a paper sleeve and (for the most part anyway) was given or sold to friends. Nowadays, that same record fetches up to US$200 in mint condition. Although the band would break up in 1980, the fundaments were laid for other synth based acts that would emerge from Vancouver: Images in Vogue, Skinny Puppy, Front Line Assembly and Numb. The 10″ vinyl reissue holds 6 tracks including two previously unpublished tracks (“Distorted Images” and “Armchair Generals”), a replica sleeve, and a printed inner sleeve with rare photos, posters, lyric sheets, and even a tour budget. It also includes a Mobile Clones biography written by Greg Potter. 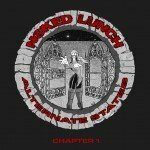 New EP for cult act Naked Lunch, 'Alternate States : chapter 1' - out now featuring re-recording 'Some Bizzare Album' track 'La Femme' - Depeche Mode fans will love this one!